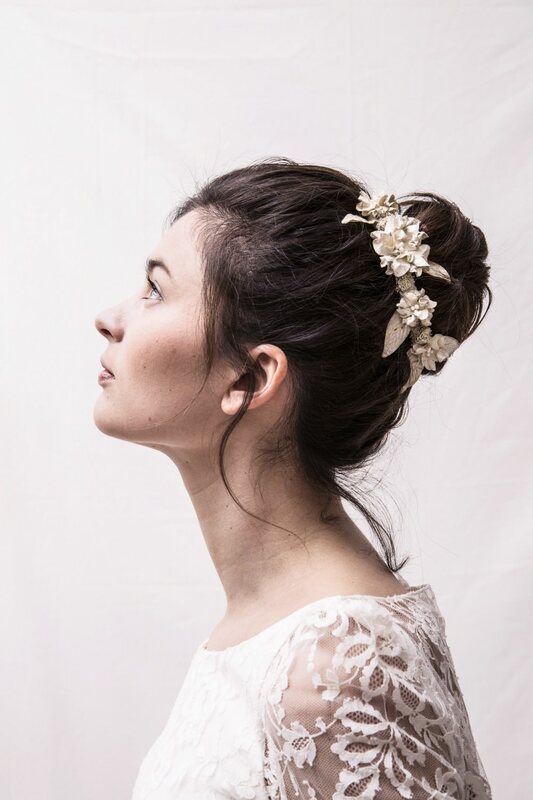 Little sister of the lovely Montmartre crown, we find all of the same beautiful details in this half crown: base recovered in fabric, tulle and sisal, ornamental leaves and flowers in Lokta paper, mother-of-pearl stamens, and stabilized moss for an incredibly natural look. 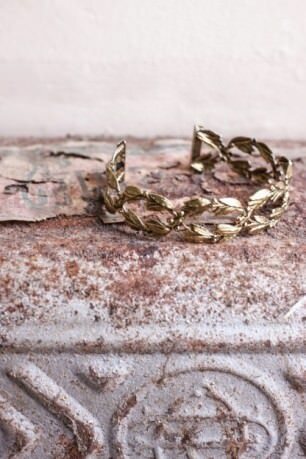 Mounted on a metal base, this accessory goes easily with any hairstyle for a bohemian and refined allure. Handmade in Paris, in the atelier of Olga Vallecillos. Upon a meeting in 2013, Laure immediately admires Olga's ability to "tame" and transform the paper into beautiful flowers, in soft antique hues. Her passionate work, 100% artisanal and made in France echoes the values of Laure de Sagazan.